India and Turkey, Asia Minor and the Subcontinent of Hindustan, and the Ottomans and Mughals have had shared histories of contact, engagement, and dialogue over the centuries. Much of northern India was under the control of rulers from Central Asia since at least the thirteenth century. Startling glimpses of the presence of Turkic-speaking peoples from Central Asia are still visible, for example, in north Indian material cultures - languages, cuisine, religion, architecture, and medicine. This book places the Indian subcontinent side by side with the Turkic-speaking world, both past and present, in order to understand one geographical context in relation to the other. The juxtaposition of the two countries throws up some startling commonalities as well as considerable differences, and it is the variations as well as the similarities that allow for comparability. By exploring historical connections and providing a comparative perspective in terms of spirituality and religion, social movements, political economy, and foreign policy, the book initiates productive cross-cultural conversations, allowing concerns from one location to illuminate the other. The book is split into five parts: History and Memory, Nationhood and Leadership, Secularism, Debating Development, and claiming the City. 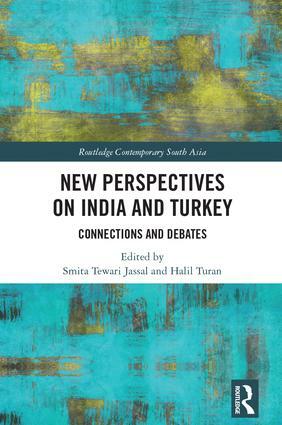 The first comparison of the Subcontinent and present-day Turkey, the book emphasizes the importance of cross-regional comparative analysis in order to overcome some of the pitfalls of area-focused analysis. Filling a gap in the existing literature, it will be of interest to scholars in various disciplines, including politics, religion, history, urbanization, and development in the Middle East and Asia. Halil Turan is Professor and Chairperson, Department of Philosophy, Middle East Technical University, Ankara, Turkey.